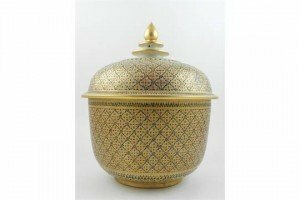 A Thai soft paste porcelain jar and cover, polychrome decorated with floral arabesques in enamels, parcel gilt. 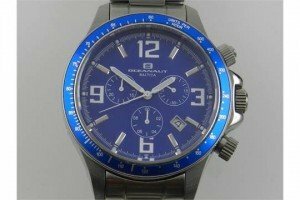 An Oceanaut, Valtica gentleman’s stainless steel chronograph wristwatch with Arabic dial, set three subsidiary elapse dials and date aperture. 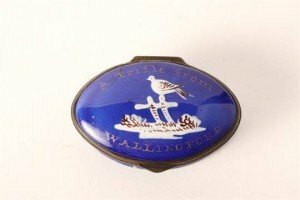 An 18th Century Staffordshire blue enamel patch box, lid inscribed “A trifle from Wallingford” and decorated with a bird perched on a fence. 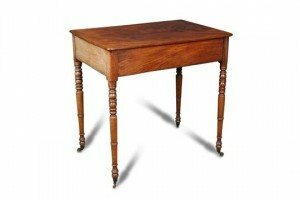 A Regency mahogany side table, fitted blind frieze drawer on slender turned tapering legs and casters. 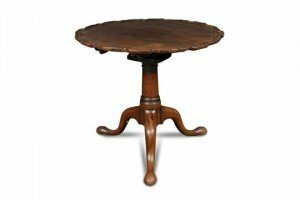 A George II mahogany tripod occasional table, piecrust tilt top, on birdcage and barrel turned column and three splayed legs. 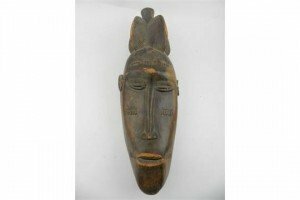 An early 20th century West African baulle tribal carved palm wood mask with ornamental hair piece, the face decorated with scarifications. 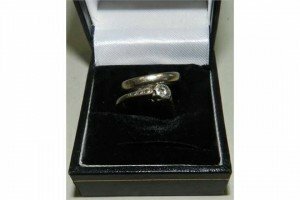 A solitaire diamond ring, the white metal hoop stamped ’18ct’ together with a 9ct white gold wedding band. 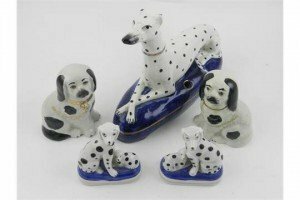 A Staffordshire Potteries porcelain study of a recumbent hound, together with two smaller ceramic studies of Dalmatians and a pair of two other ceramic dogs. 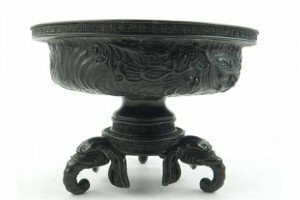 A late 19th century Chinese bronze censor, raised on a tripod base modelled as elephants, decorated with stylised dragons. 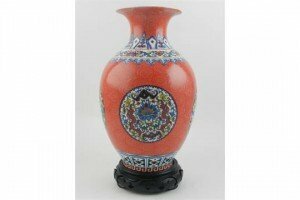 A modern Chinese hard paste porcelain baluster vase, decorated in the Imperial taste, raised on hardwood stand. 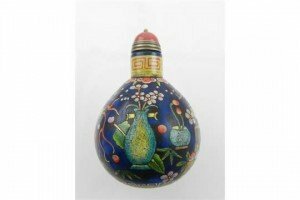 A Chinese dark blue glass baluster scent bottle, polychrome decorated with floral urns and motifs in enamels, with cabochon stopper. 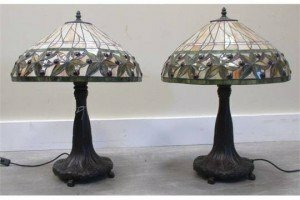 A pair of Tiffany style lamps, with Art Nouveau style metal bases and coloured glass shades decorated with foliage and berries. 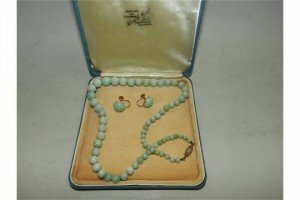 A graduated jade bead necklace, the yellow metal clasp stamped ‘9ct’, together with a pair of cabochon jade earrings. 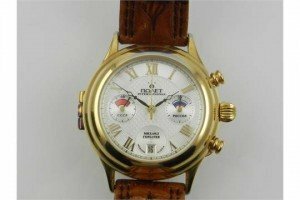 A gentleman’s gilt metal automatic wristwatch, having a Roman and Arabic engine turned dial, set date and second subsidiary dial, with visible balance. 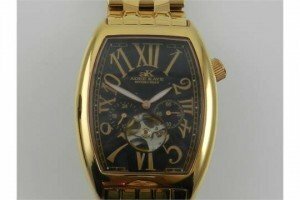 A gentleman’s Poljot gilt metal chronograph wristwatch, having Roman dial, with date aperture and mechanical movement. 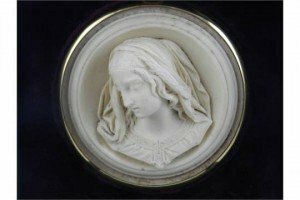 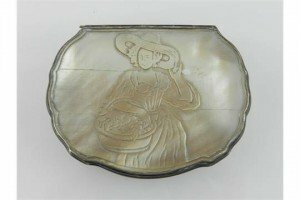 An 18th century Dutch silver and mother of pearl snuff box of cartouche form, the hinged lid relief carved with a half length portrait of a lady in a gown holding a basket of flowers. 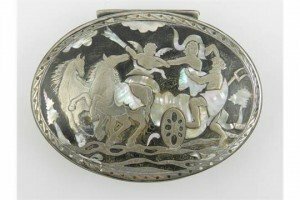 An early George III tortoise shell and silver oval snuff box, the hinged top inlaid with abalone shell and decorated with stylised scene of Neptune with his chariot.